This should give me better choice for the right gears to be used. After I received all these parts, I started to install the 11V cassette…but another bad surprise! 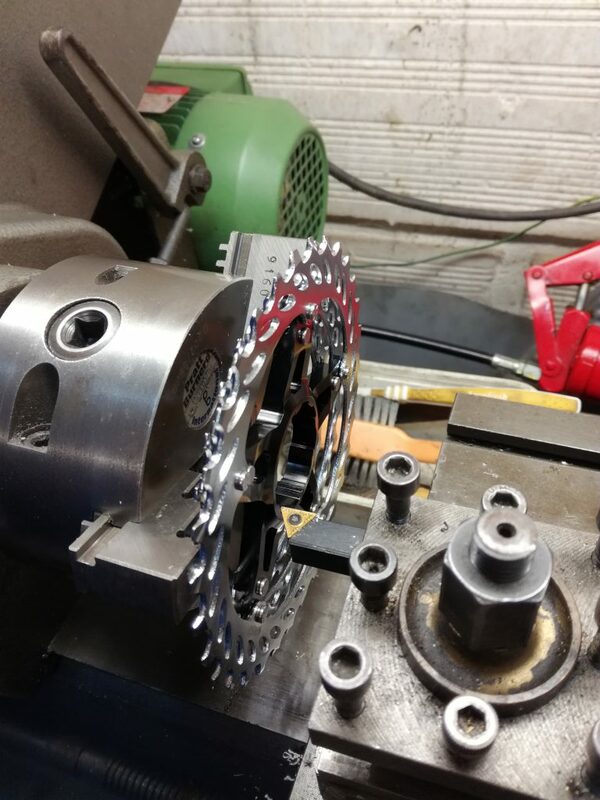 FALCO motor ‘2018 model'” is marketed as ’11v cassette fully compatible’…but as I discovered it is not the case. 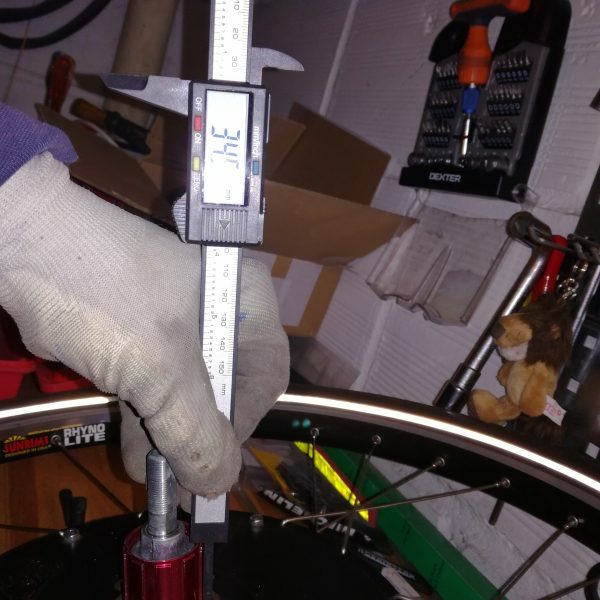 In fact, as you can see from this picture the actual measurement is 34.9mm, which is only compatible with 10 speeds cassette. 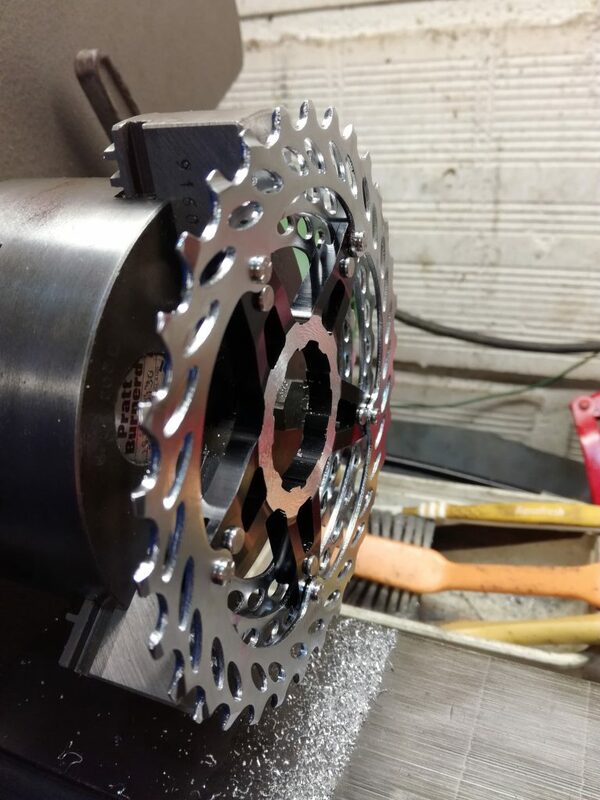 Once again my friend Pierre allowed me to obtain great solution: in less than 1 hour the 11V cassette was machined with a lathe to reduce its width from 36.7 to 34.9 (18mm shorter). On the left before, on the right after the activity on the lathe. 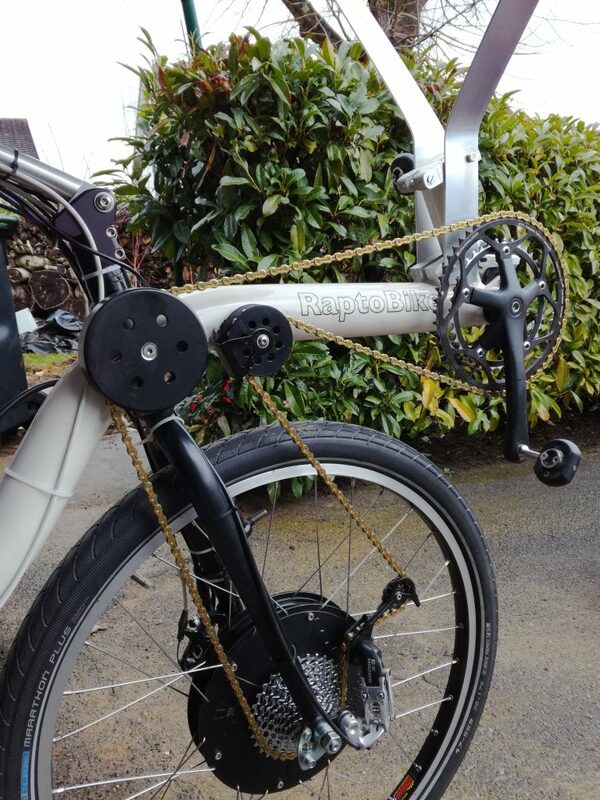 So now the complete transmission package is all new: it’s easy to feel how smother it is to turn the pedals just with one hand ! 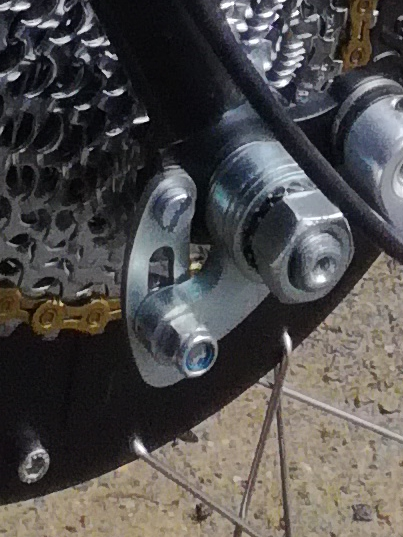 And I have also added a ‘torque arm’ to improve the security of the hub motor installation.